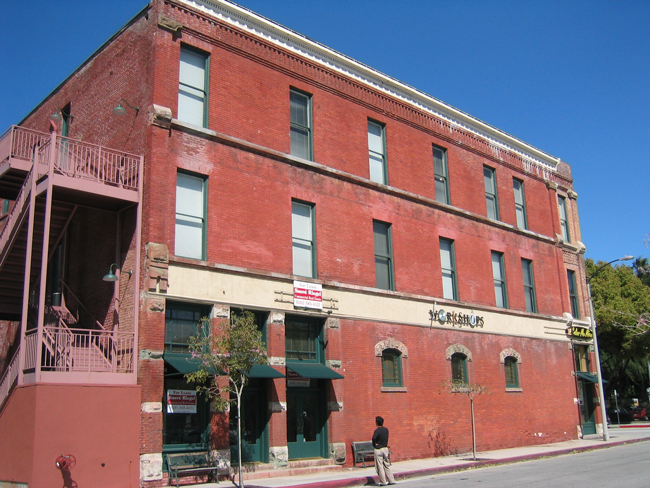 43-unit facility in a renovated hotel, on the National Historic Registry, located in Old Pasadena – combination of ground level, display window retail spaces, 24 indoor storage units and 45 offices of varying size. 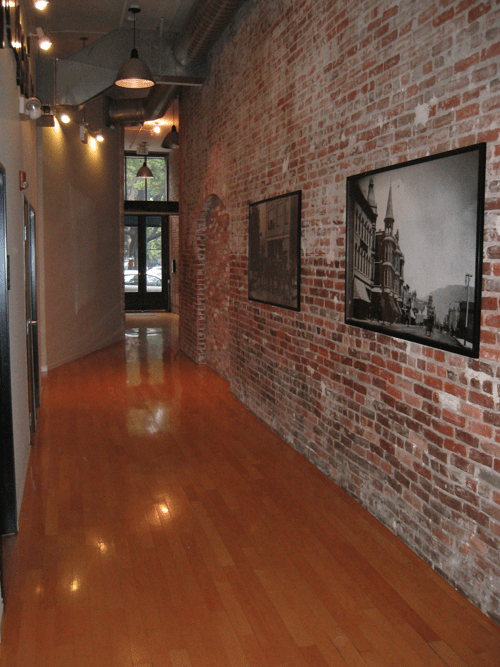 Pasadena Workshops is a brick building that was originally built in 1887 for James E. Doty’s carriage business. Between 1900-1940 it became the Carver Hotel. The Onyx Club also occupied the basement, which once featured Dizzie Gillespie and Erroll Garner. At one time, artists resided in the lofts and sometime during the 60’s and 70’s the popular John Bull Pub existed as a favorite community “watering-hole”. This beautiful brick building has a long history of cultural importance and today, it continues with a cosmopolitan mix of retail shops, a cafes, artists, & entrepreneurs working from within. 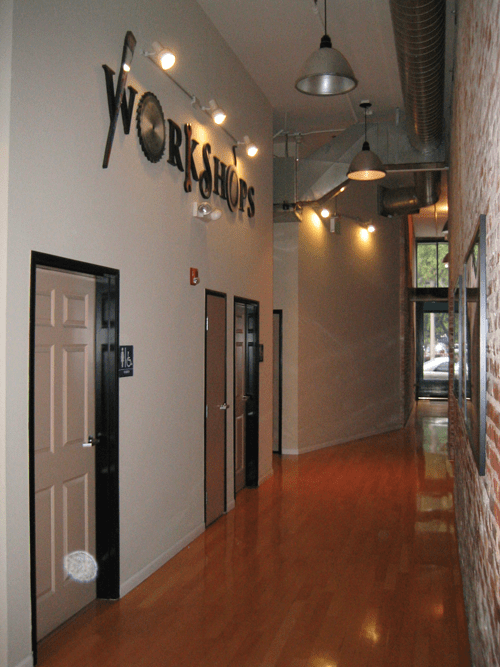 The Workshop spaces are primarily used as an incubator workspace for entrepreneurs launching a business and artists desiring a more user-friendly and professional place in which to work.